DELAGE JEWELERS, a family-owned business located in the heart of Midtown Manhattan, has been dazzling its clientele with elegant and sophisticated collections for three generations. Our passion for craftsmanship has been apparent since our doors first opened. 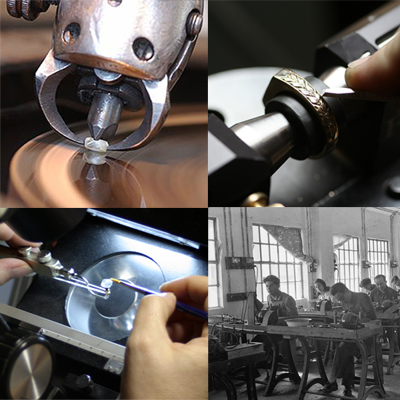 Every special piece of jewelry that leaves Delage is a labor of love and exceptional artistry. We care about our customers and treat them like our family. Our superb professional jewelers, as well as our experienced sales and administration staff all have one goal in mind: for Delage Jewelers to be your jewelery buying sanctuary. We want to be your source for celebrating the joyous occasions in your life. Our talented staff will help you choose or design jewelery for yourself or people you love. Thank you, from our family to yours, for being loyal customers and friends throughout the years. We look forward to working together with you in the future, delivering the promise of quality, honesty and dedication that DELAGE JEWELERS has always stood for.